This southwestern steak soup is hearty, and really easy to make. Affordable beef round and simple pantry ingredients combine to make this delicious soup. This easy steak soup is a little bit spicy and totally satisfying. 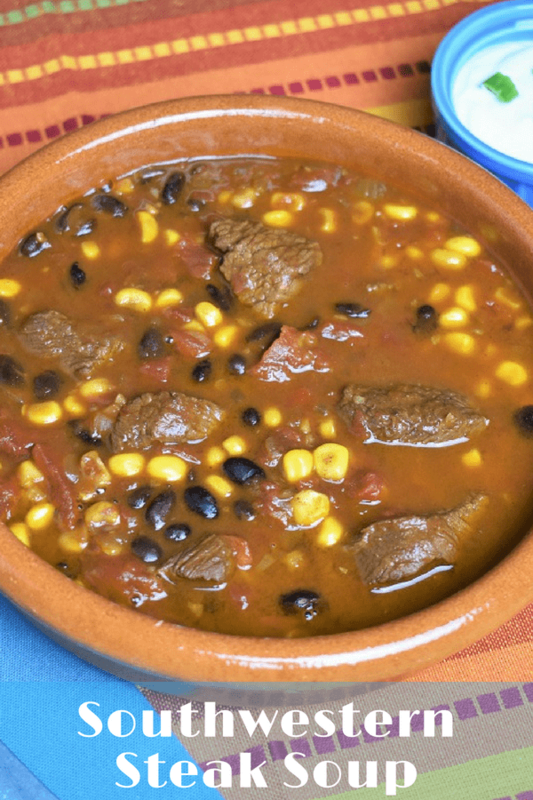 With beef, tomatoes, black beans and corn, this soup won’t leave you hungry. You get a big pot too, so you can feed a crowd. Or look forward to leftovers; it reheats really well. And if Southwestern is what you’re craving, try this Southwestern steak bowl, this easy, delicious Southwestern pasta or this grilled chicken Southwestern salad. Add the chili powder, cumin and crushed red pepper to a small bowl and stir. Cook the corn just enough to defrost and drain well. 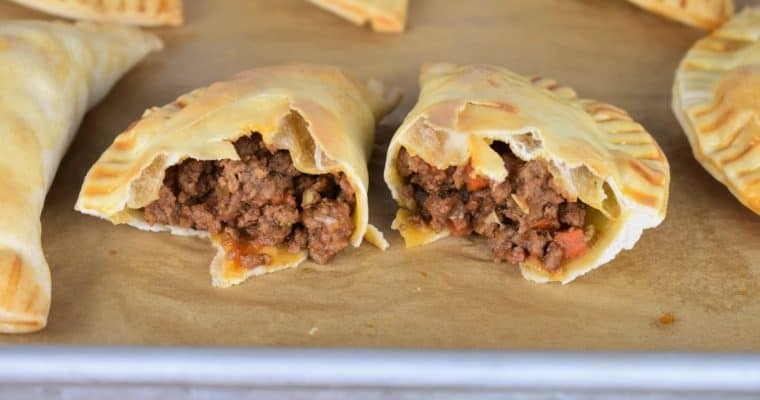 Follow the package directions to get them going and cut the cooking time by about half. Chop the onions and tomatoes, mince the garlic and cut the beef into small cubes. Drain and rinse the black beans and get everything ready to go. Heat the oil in a large pot over medium heat. Add the onions and cook for 3 minutes, stirring frequently. Add the garlic and cook another 1-2 minutes, stirring frequently. Add the beef and the prepared seasoning mix. Stir well to coat the ingredients with the seasoning. Cook the beef for 3-4 until browned, stirring frequently. Add the chopped tomatoes, beef broth, black beans and corn to the pot. Raise the heat to high and stir the soup well to combine all of the ingredients. When the soup comes to a boil, lower the heat to medium-low, cover and simmer for at least 30 minutes, stirring occasionally. Don’t add salt to the soup until the end because the canned tomatoes, beans and beef broth all contain salt already. When the southwestern steak soup is done, taste it and add salt if needed. Serve the soup with sour cream, tortilla chips or simple cheese quesadillas. Refrigerate any leftovers; this soup is delicious the next day. Enjoy! 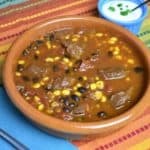 If you like hearty beef soups and have a little extra time, try this delicious Sopa de Res. 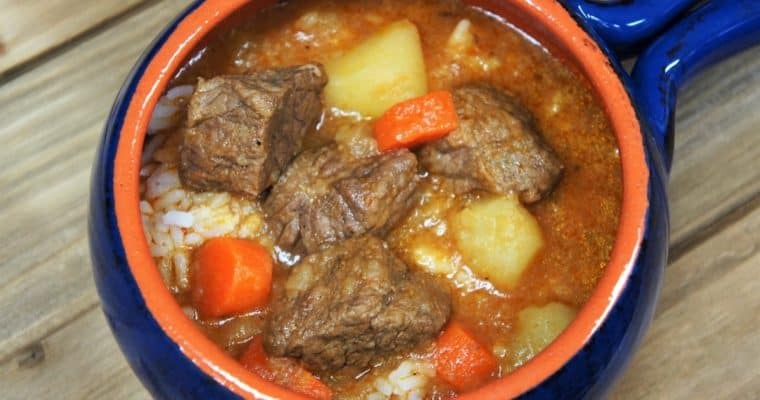 It’s a Cuban-style beef soup, that’s absolutely delicious! 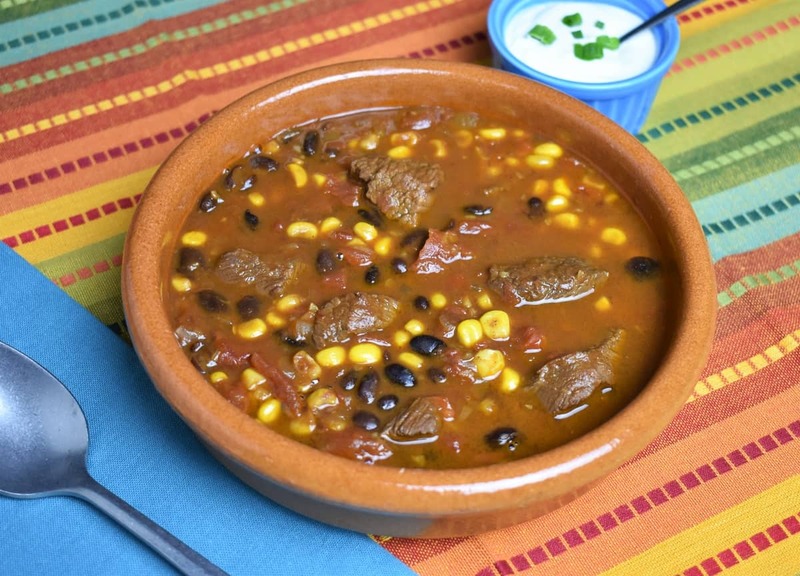 This southwestern steak soup is hearty, and really easy to make. Taste the soup and add salt, if needed.